Death of a Blue Movie Star is the second Jeffrey Deaver’s ‘Rune’ series of novels. It was, as always with Deaver’s books an enjoyable, if somewhat dated, read. By dated I am referring to the fact that every time a phone call needs to be made Rune needs to find a public/pay phone…which, wherever Rune is, always works! It is a pity that authors or publishers do not see fit to re-publish a book with updated versions eliminating old technology (pay phone) for contemporary equivalents, particularly when there are still people reading these older books. Enough of my opinion! In Death of a Blue Movie Star we again we find young Rune barely able to hold down her job despite appearing to be very capable. This time Rune wants to make a documentary and is able to borrow her ‘Australian’ employer’s video camera for said project after hours. Supposedly Australian employers sounded very much like a Cockney accent as I read the book. The vernacular was not quite right, in my opinion. To me this was so with many movies of the 1970s and 1980s which contained an ‘Australian’ character which often sounded very British. Young Rune’s project soon sees her involved with murders which only she wants to solve. Generally, the police are not all that inclined to pursue these crimes because they occur and involve persons making Adult Movies. The only person who considers her crusade worthwhile is a member of the bomb squad and is nearly twice her age. Does he have an ulterior motive for helping her? Read the book to find out! Death of a Blue Movie Star is an enjoyable read, as are all of Deaver’s ‘Rune’ books; however Death of a Blue Movie Star had a totally unexpected twist near the end. I have rated Death of a Blue Movie Star a solid three star read. 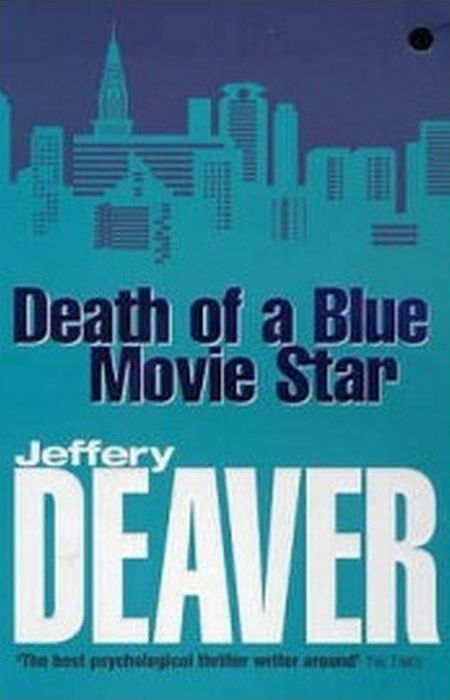 Other Goodreads Readers have rated Death of a Blue Movie Star an average of 3.49 stars, from 1,282 Ratings and 54 Reviews. 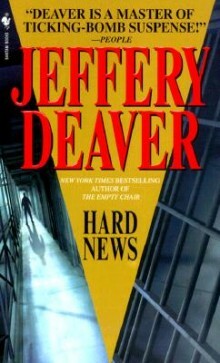 Jeffery Deaver’s 2005 book opened on my iPad accidentally a week or so ago. I could not remember the story so began reading. I was more than far enough into the book when I discovered a review I had written in 2013. I generally don’t re-read books, however, decided to make an exception to that rule…this time. I must confess that The Twelfth Card kept my interest as much this time as it did four years ago and maybe that is why. I could not remember any of the plot so each page was fresh and new. Not sure if this reflects as an uninteresting book or one that is as good the second time around. I am opting for the latter as I don’t want to insult Jeffery Deaver (haven’t read a bad one yet) and I do not want to admit that age and memory are catching up with me! This is at least the fourth book, read this year, in which a late teen/early twenty female has been a pivotal character. This story/plot is more plausible than some of the scenarios created in the Rune Trilogy, in my opinion. Also aiding the plausibility is the fact that the young heroine stays away from the bad guys instead of confronting them…either knowingly or unknowingly…as, from memory, as Rune tended to do. I will again rate The Twelfth Card as a FOUR Star read. 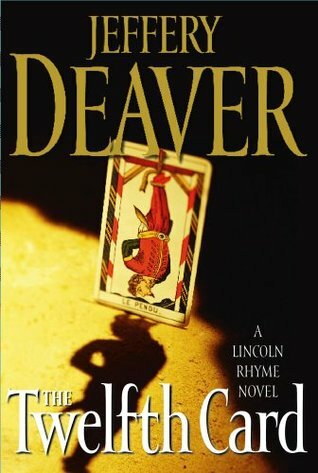 Although The Twelfth Card is the first of Jeffery Deaver’s books to be reviewed here, it was my third novel in which Lincoln Rhyme and his team featured as the good guys. Twelfth Card is a fast paced story which kept me wanting to read the next chapter and in so doing incurring some late nights/early mornings. I thought the book could/would end about 40 pages earlier than it did, however the twists and turns included made every page thereafter worth reading. 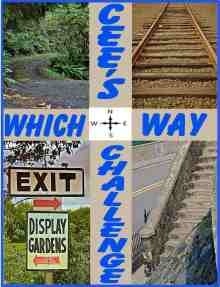 The Twelfth Card kept me intrigued until the last page! Manhattan is My Beat is the first of the Rune trilogy. Rune is a five foot two, twenty year old seems to be able to solve many crimes the police cannot. This inevitably has her running foul of employers and authorities alike. Does she mind? Not the slightest. The Manhattan is My Beat movie is allegedly based on a 1940s, real life bank robbery in which one million dollars was stolen and never recovered. Rune believes she knows where the money is hidden and sets out to recover it which leads to inevitable problems. 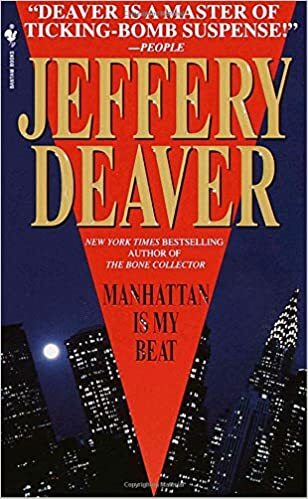 Manhattan is My Beat is the first of the rune trilogy, however, there is no necessity to read Manhattan is My Beat first. Rune is the lead character in all three novels with a few other characters playing supporting roles. In other words each book can be read as a standalone novel. I have enjoyed Jeffery Deaver’s entire Rune trilogy which was written in the late eighties early nineties. Lack of mobile/cell phones and pay phones being the only means of communication with others combined with video tape stores, all date these books. Overlook lack of modern technology and you have a good well-paced read. The end caught me off guard this time also. Hard News is another story of a young reporter pushing her capabilities and experience. 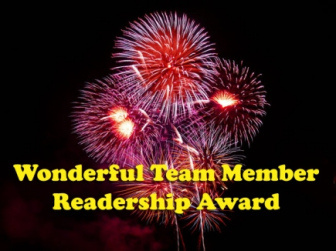 I say another because I have read two books this year by a different author in which a young female reporter was the lead character and Jeffery Deaver has created story which I believe to be the best of the three ‘female reporter’ books read this year. Working in television as a camera operator out on the beat, young Rune finds a letter on her desk from death row. After convincing herself that the prisoner is innocent she finds herself creating a story of his innocence for the Network Current Events program. Through in a baby left on her doorstep and you have a fairly improbable scenario which nevertheless provides for an entertaining read. For me the odd part was the baby’s development over what appeared, or seemed to be only a few months at best. She went from nappies, or diapers to feeding herself, walking and talking. However, it is basically good guys vs bad guys…and I did not pick the end or see any of the bad guys close to Rune. For that reason and the fact that it was an enjoyable read, I gave Hard News a four star rating. A final mention the Hard News is book three of the Rune Trilogy. As yet I have not searched for books one and two. However, I can tell you that they appear to have little, or no, impact on reading Hard News as a stand alone read. Twelfth Card is a fast paced story. A story which keeps readers wanting to read the next chapter and in so doing incurring some late nights/early mornings. This story kept me intrigued until the last page!